Earlier this year, Madonna’s family added two new members, 4-year-old twins Estere and Stella, and so the 59-year-old pop icon was overdue for a new fam portrait. Luckily for us, Madonna and her six children all got together for her birthday this week, and they posed together for the cutest family picture. The “Vogue” singer turned 59 on Wednesday, August 16, and all her loved ones gathered to celebrate at a gypsy-themed party in Italy. Amidst all the festivities, Madonna and her six children—Lourdes, Rocco, David, Merci James, Estere, and Stella—took a moment to pose for a sweet family photo, and it will melt your heart. In the pic, everyone is decked out in their best gypsy-inspired outfits, and they’re smiling big at the camera as they stand around their mother. The birthday girl looks positively elated to be surrounded by her beautiful children, and we can’t blame her! It looks like the whole gang had a blast at the party! 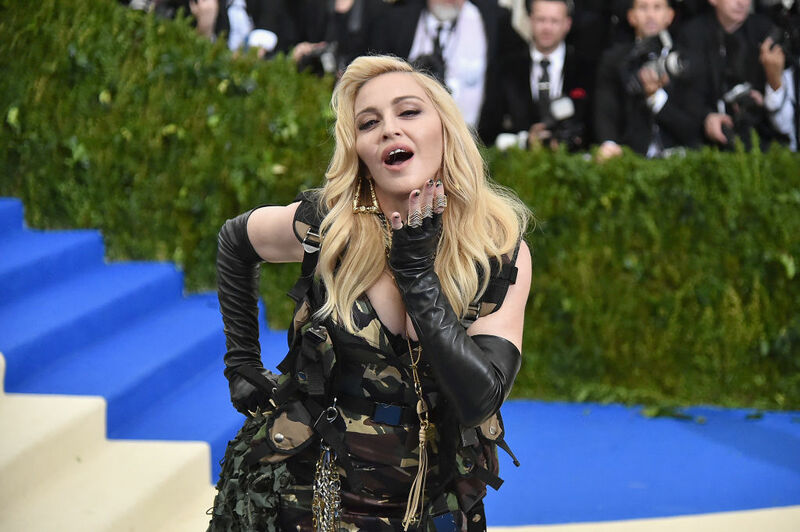 Madonna also shared some candids from the soiree, including one of the twins playing dress up with fun props and another of Lourdes planting a kiss on her mother’s cheek.